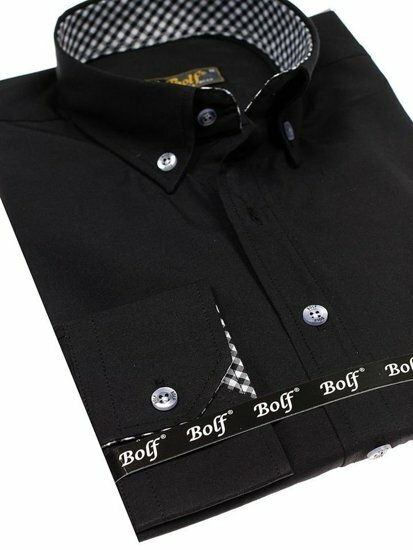 Trendy ands elegant black men's shirts from Bolf. They fit really well and have got casual details. 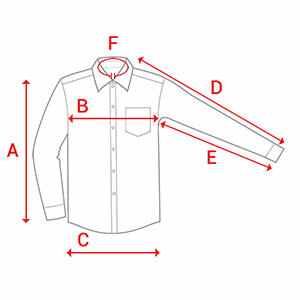 This model is characterized by the collar, pocket and checked inserts. 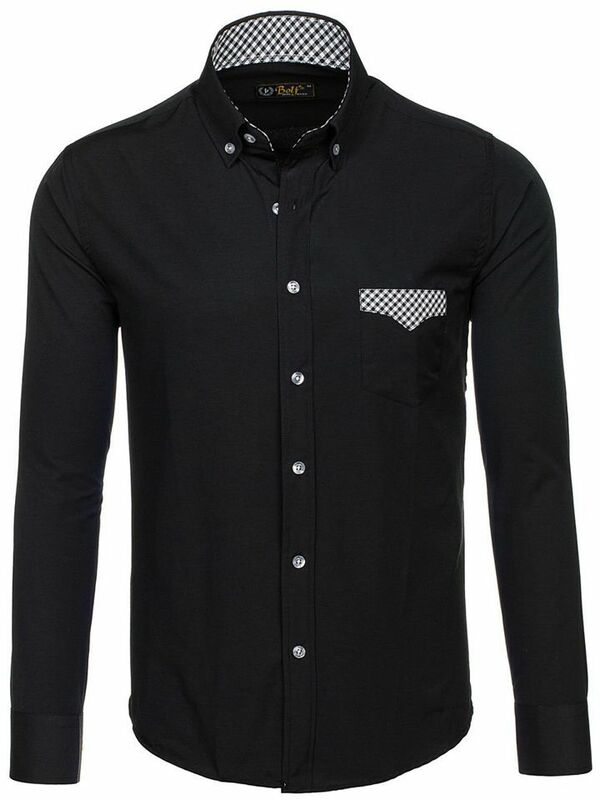 The black men's shirt looks great with chinos. 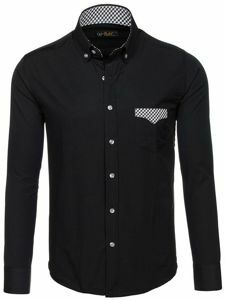 Wear it with a blazer, a jumper and jeans.